Our range of IDEAL OfficeLine products has been extended by the introduction of the IDEAL 8590 booklet maker, that folds and/or staples your documents automatically in a few seconds, handling paper formats up to A3 plus. This booklet maker featuring a compact design and easy operation for the smooth and quick production of up to 800 professionally finished booklets per hour. It creates high quality booklets, brochures, magazines, newsletters and financial reports. It is suitable for paper weights of 64 to 300 gsm. The maximum capacity is 16 sheets, which allows the operator to create a reasonably sized booklet of up to 64 pages. 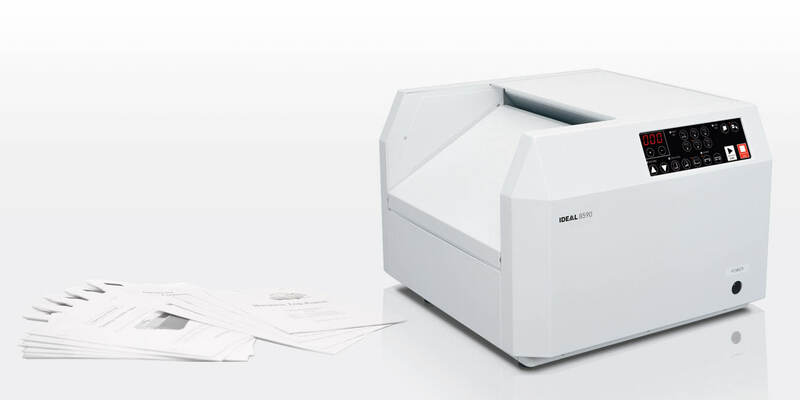 The IDEAL 8590 is the perfect fit for offices, small businesses, schools, copy shops, print shops, etc.